Kundalini means something that is coiled. In yoga, it is believed to be the libidinal force of the female aspect coiled at the base of our spine - Shakti for devotees, for others a serpent lying inside us, or both. Kundalini, a "sleeping lady", can wake up. We can imagine Her either as a goddess, a sleeping serpent, or both. In simpler words, She is the dormant force in the human organism that has a very, very big potential. Although there are many websites that inform us about the powerful potential of awakened Kundalini, it is hard to make a responsible statement if their writers have ever really dealt with the awakened form of Kundalini; some of them most probably only think that they succeeded, and some others surely did. 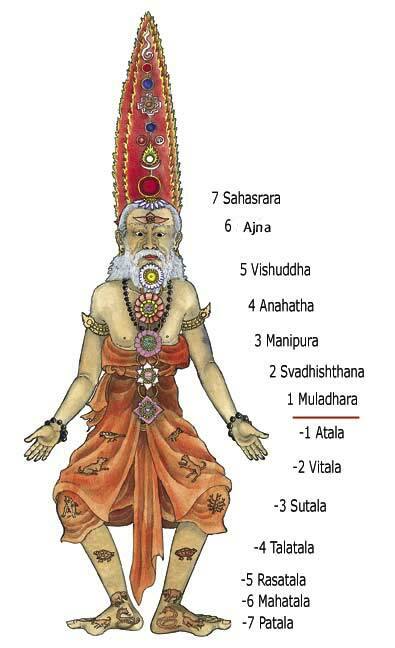 Kundalini is awakened through the power of mooladhara chakra. This word is comprised of two words - Mool and Adhara. The meaning of the two words is something like Primary Buttress or Primary Pedestal. Mooladhara chakra is the door to Kundalini and if it is properly opened, you may hear the great Serpent's hiss. Shaktas (devotees of Shakti, Mother Divine) believe that Devi (Kundalini) is the Creator. Since mooladhara is the sleeping eye of Shakti in every human being, Lord Ganesh, Her son, is the best intermediary to pass proposals between His sleeping Mother and us. It is because Lord Ganesh is awake and He can always listen to our prayers while Kundalini cannot (because She sleeps). Lord Shiva and Parvati (Shakti) have two sons - Skanda (also known as Murugan) and Ganesh (or Vinayak, Ganapati). Kundalini is purely the female energy and Lord Ganesh, the master of mooladhara chakra, is the One who is closest to it, because Parvati created Him (Lord Skanda was born out of the sparks of Lord Shiva). What you should know about Kundalini? If you awaken the Serpent, it can bring you shift in consciousness; new energies will flow into your body; blocked channels in your body will reopen; you may develop extrasensory perception (have visions of past lives, excellent intuition, precognition, etc.) and occult powers (like psycho kinesis - to move things, or have other extraordinary abilities, etc.). However, in addition to positive results, you may come across some pitfalls that will materialize in a number of negative side effects and possibly in a complete breakdown of your nervous system. Clinicians may confuse these signs with psychiatric pathology - that is, they will not believe that the signs are the result of Kundalini awakening and may assume that such a patient is experiencing an acute psychiatric disease (like schizophrenia, etc.). The following points need deep consideration before any technique is used. 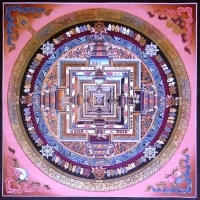 Techniques vary in a number of ways and require a very skillful guru without whom the probability of facing negative side effects is higher. There are also reports that some gurus, in spite of many previous assurances, abandoned their pupils spiritually. They were powerless and could not help them. This means that there are many "so-called gurus". Awakening of Kundalini, if not mastered well, may transfer your psyche to horizons where unknown ethereal planes will expose their nakedness similarly like dark matter in the universe. 1) Practice yoga or meditation for about two years and read religious literature. Before you start moving into the territory of the Serpent's bites (some of them will astound you), these two years will help you choose a guru and you will at least partially minimize possible negative consequences. However, do not read literature of the New Age type, as New Age pulls all ancient concepts out of their context and abuses them. 2) Be moral and religious. Cultivate your faith in Lord Ganesh and Shakti. 3) Do some charity. If you have some black spots in your karma, doing charity will protect you like a security belt. 4) Learn and learn. You do not need to read miles of spiritual texts; you only need to learn which literature is really valuable for you. One famous German philosopher once said that only ten books published within the period of one hundred years have a real value. With such knowledge you will be more accurate in your search for success. With the above knowledge you will fortify the Primary Pedestal in you - it will become a good foundation of the house the builders of which expect to stand stalwartly. I have a friend in Malaysia with whom we pray to Manasa Devi. 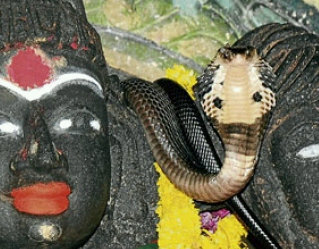 He has pointed out that in the city where he lives (Ipoh) almost a two-meter cobra went into the temple he visits often (temple of Sri Maha Kaliamman Samundeeswary) and climbed up on the neck of the main deity (Kali). In Hinduism, Gods such as Kali or Shiva are portrayed or sculpted with snakes around their necks, which is why the phenomenon in Ipoh is considered to be a miracle. Cobras in India, but in the southern parts of Asia (Sri Lanka, Singapore, Malaysia, etc. ), are regarded as sacred animals. My Indian friend wrote to me that the snake must be very Adi Shakti that is within each of us. This miracle first occurred on August 23, 2012, and the cobra wrapped itself around the head of the statue of Kali. She remained there for more than eight hours. Visitors from all over the world started coming into the temple (from Thailand, Europe, Australia, Singapore). The said cobra, although it will not stay long in the temple, leaves and then comes unexpectedly back. One of the visitors of the temple said that it was the proof that Adi Shakti really exists and this is how She manifested herself in the temple. The above picture is taken from this link. I apologize for taking the picture. I sent a few emails but received no reply. Please respect that the picture is copyrighted and publish it only with the information that it is copyrighted.